The industrial and manufacturing space is already competitive. As a result, meeting profit margins are becoming more challenging by the day. Given such an environment, having to deal with avoidable fines would be the last thing you want as a company. One of such common fines are those from Occupational Safety and Health Administration (OSHA). Here are details on how to going about avoiding OSHA fines from all fronts. Owning a company is not all that matters. The way you run the firm has a big influence on its success or failure. While ensuring you always meet your target and make profits, avoiding OSHA fines that could dig deep into your company’s savings can simply start by attending a safety training seminar. In the process of learning, you will pin point the specific steps required to ensure you are safe from fines. Going by the mantra, you start solving a problem by first identifying its cause is ideally the first step. In this context, staying away from being slapped by OSHA fines takes a simple approach in identifying OSHA rules that most companies break. Armed with such information, it will prove easier to run your company within the expected standards than without the information. 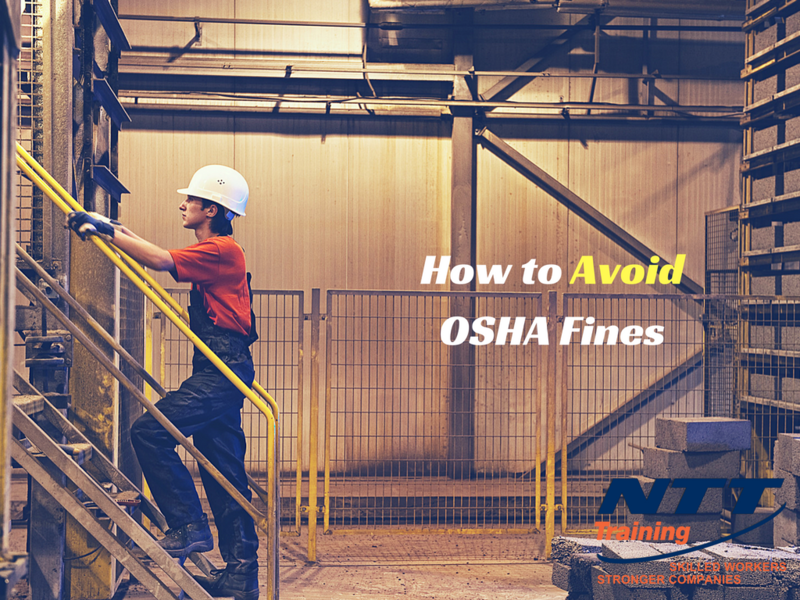 Since there is a high likelihood of your firm breaking some OSHA rules, the best way to implement the above approach is by noting all the violated rules based on most to least common. The next step would be find specific operational ways for each rule. In so doing, it will be easy for all the staff members to transition from the non-OSHA compliant ways to the appropriate ways. It is clear how OSHA rules and regulations give priority on the safety of workers in all their respective environments. As an employer, the simplest way to remain within the safe zone and avoid unnecessary OSHA rules is by creating a safe working environment for all your workers. Ensuring safety at your company is more of a two-way street. Company owners can do their best in ensuring the working environment is safe for work. Whoever, to get the whole system coordinating and ensuring everything falls into place requires the input of all your staff members. Given the above idea, it will be your responsibility to always engage your workers. During your interactions, the ideas should be to influence them positively for them to embrace safety measures during all working and after work hours. Such a simple approach can be the difference between running a company with no accident reports or always having to deal with incidences that lead to attracting fines. The working environment in a company can be extensive and complicated. To have everything under control in such environments is having properly skilled workers handing their respective tasks and machines. More often than not, problems in working setups arise due to incorrect handing of processes or equipment. By the time a problem arises, it might be too late to salvage the situation. Despite suffering huge loses, your company could still face legal suits that require you to pay heavy fines if determined you did not observe all the safety measures. To avoid all that, having all workers follow strict rules regarding machine handling is important. Clearly, following an implementing all the highlighted guidelines that can help in avoiding fines from OSHA is easy. At the same time, avoiding fines is the responsibility of both company owners and workers as well. Based on those ideas, a training on all-things OSHA should benefit both parties. Regardless of whether you are a manager, safety director, technician, supervisor, or warehouse employee, if you’re interested in avoiding heavy OSHA fines, a 10-Hour Safety Training about OSHA will be sufficient. In order to get information about the training, feel free to contact NTT Training Inc. The institution has full accreditation from Accrediting Council for Continuing Education & Training (ACCET).